Battery operated, the Chad Valley Be U Make Your Own Glitter Lamp Kit would make a perfect addition to a child's table top. 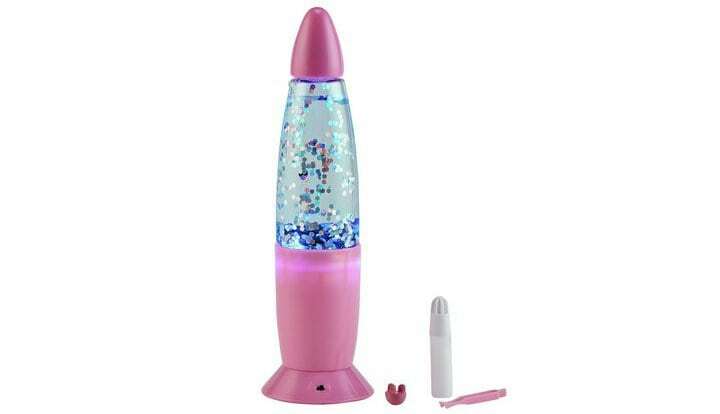 The lamp has cool motorised swirling sparkle glitter action and automatic changing light colour providing a funky effect. Kids can personalise the lamp to match their unique personality; customise and decorate by fixing colour sequins on lamp for a sparkle effect. Get money off with April 2019 free Argos voucher codes, see if there's a discount code for the Chad Valley Be U Make Your Own Glitter Lamp Kit product.